As you are probably aware if you are a regular reader, I write a lot about running shoes here on Runblogger. I’ve documented my personal journey from stability shoes to minimalism in several posts, and have come to be a firm believer that our current system of choosing shoes largely on the basis of pronation control is flawed. I have also come to believe that the lifted heel found on most modern running shoes (see example photos below) promotes an overstriding gait and a pronounce heel strike, which the scientific literature suggests is not the way humans evolved to run (see Lieberman et al., 2010 for more on this), at least under most circumstances. Whether or not this is a good, bad, or benign change is the subject of great debate right now, and clear answers remain hard to come by. It can be said with some degree of certainty that years of wearing shoes with lifted heels has adapted our legs and feet to the presence of a heel, and the vast majority of runners are now heel strikers (see Hasegawa et al. 2007; Larson et al., 2011). As a result of musculoskeletal acclimation to thick-heeled running shoes (particularly in places like the Achilles tendon and calf muscles), some degree of heel lift may be a necessity for many runners in order to avoid injury, at least as they transition to more minimal footwear. It is for this reason that I have included a range of shoes in terms of their heel lift in the selection below. Some people may do fine migrating immediately to a zero-drop shoe (i.e., no heel lift), whereas others may need to take some time to transition if that is their desire (and I’m by no means urging everyone to go minimalist – it’s a personal decision that carries some potential injury risks – see my post on the Pros and Cons of barefoot running for more on this). I’m not going to expand on my concerns with typical modern running shoes much here since others have done the job for me – let me give you a few links for further reading if you’re interested. 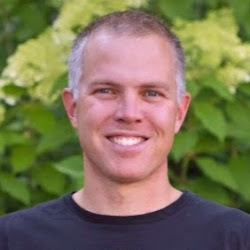 For a formal scientific take, check out this 2001 paper published by Benno Nigg titled “The Role of Impact Forces and Foot Pronation: A New Paradigm” or this 2010 study by Daniel Lieberman and colleagues titled “Foot strike patterns and collision forces in habitually barefoot versus shod runners.” For additional well written and scientifically informed opinions on running footwear, check out “Why Running Shoes Do Not Work” by Steve Magness, “Do Running Shoes Cause Running Injuries? A Few Insights on a Dismal Science” by Amby Burfoot, or watch this excellent lecture by Dr. Irene Davis on the topic of shoes, form, and injuries. In addition to the above information, I have also written a book on minimalist running, running form, and running injuries: Tread Lightly: Form, Footwear, and the Quest for Injury Free Running (a link to the book page on Amazon can be found above and to the left). Example of a “typical” modern running shoe – the Asics Gel Nimbus 10. Note the raised heel and extensive cushioning. Taking “cushion” and heel lift to extremes – Nike Shox Turbo VI. When it comes to choosing a running shoe, I’m a firm believer in the adage that we are each individuals with our own needs, or as more eloquently stated by Burfoot in the above post (quoting George Sheehan), “We’re all an experiment of one.” Given this, I’m a strong proponent of greater variation in footwear choice for people who vary widely in their footwear preferences/needs. My basic philosophy is that, to again quote Burfoot, this time from the Summer 2010 Outside Buyer’s Guide, “All runners should run in as little shoe as possible.” I’m an advocate for minimalism, but I don’t see my role being to tell anyone what they should wear (some people admittedly seem to do just fine in shoes like those pictured above). I view transitioning to minimalist shoes as one option that a runner has should they desire to try it – if you are running fine in more traditional shoes it’s probably best to just stick with what is working! There are certain risks involved, and transitioning to a reduced or minimalist shoe can take some time and needs to be done carefully and slowly to overcome years of acclimation to heel lifts and extensive cushioning. I can’t emphasize this latter point enough. Elite Male Runners in Slow Motion – 2010 Boston Marathon from Runblogger on Vimeo. The stride-altering benefits mentioned above can also be realized (quite cheaply, and probably more effectively I might add!) by simply running barefoot (I have tried running barefoot myself a few times – see video below), but for reasons of both practicality and personal taste (and some injury risk), running barefoot is not going to appeal to every person – hence the value of a minimalist shoe. Though they may not perfectly simulate barefoot running, the reduced heel-forefoot differential and more minimal cushion in a minimalist shoe can help you to avoid the pronounced heel strike and overstriding gait that characterizes so many runners in modern running shoes. Barefoot Running: Forefoot Strike in Slow Motion from Runblogger on Vimeo. Frame by frame view of my forefoot strike while running barefoot on an asphalt driveway. Please be aware that I make no claims of being a proficient barefoot runner – I myself have only tried it a few times! My goal in this post is therefore not to tell you what to wear, but to highlight some of the options that are out there if you are looking to explore a non-traditional (in the modern sense), more minimalist shoe. Some might disagree with my classification in some cases, and that’s fine, but I’ll start by giving a short overview of what I personally look for in a reduced or minimalist shoe so that you know where I am coming from. a. Require a runner to rely more on their own feet and legs to take care cushioning and stability. How much cushioning is necessary will vary with individual preferences and the purpose for which the shoe is to be used. For example, I personally like a shoe with cushioning for racing and long runs, but often run in shoes with minimal or no cushion on some training runs. It does not have to be all or nothing. b. Provide less sensory interference between the sole of the foot and the ground. Ground feel generally increases with reduced cushion and/or a firmer sole. c. Have a lower height differential between the heel and forefoot (i.e., a lower heel-forefoot drop). Heel-toe drop is the difference in the height of the sole at the heel as compared to the forefoot. Most modern training shoes have a drop of 12-13 mm or more, whereas a minimalist shoe should have a drop that is considerably less. There is variability, and different runners have different comfort zones (ranging all the way down to zero-drop, or flat soled shoes). Most of the shoes I run in these days have a drop of less than 6 mm, and many have a drop of 4 mm or less. d. Be lightweight. I prefer shoes less than 10 oz in my size 10, though these days I tend to run mostly in shoes that are 8 oz or less. e. Be wide in the forefoot to allow splay on contact. This one is critical for me – I have become highly intolerant of shoes with a narrow toebox. There are other factors that could be included here, but for me these are the most important. So, with this as an introduction, let’s get to the list of shoes that you might want to explore if your goal is to experiment with “less shoe.” A lot has happened in the footwear world since I originally wrote this post two years ago. Back in 2010 I was able to include just about every shoe that could be classified as even semi-minimalist into this post, but offerings have exploded and keeping up with them all is now next to impossible. As such, I have updated this guide in 2012 to provide my top recommended choices in several different categories. Thus, all of the shoes listed below are shoes that I have personally run in, and links to my reviews are included where available (some may be still in progress). My intention is that this will continue to be a “post in progress,” and I plan to update it as I find new recommended models in each category – please contact me or leave a comment if you have something to add. If you are interested in supporting the work that I do here, most of these shoes can be purchased at Running Warehouse. 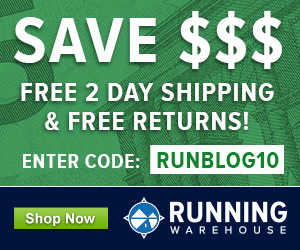 I respect Running Warehouse as a seller, their prices are typically the lowest that I find (and 2nd day shipping is always free), and they provide a lot of data on their shoes – in fact, most of the heel-toe drop numbers that I report below were obtained from product descriptions on their website. You can also view current running shoe discounts, coupons, and promotions on my affiliate page. I typically receive a small percentage from sales by sending these companies some business. You can also order my book, Tread Lightly: Form, Footwear, and the Quest for Injury-Free Running, if you are interested in the topics discussed here. I appreciate your support, and it helps me to keep the blog going and reviews flowing! This category is for people looking for minimal cushion and maximal ground feel. These shoes are sometimes referred to as “barefoot-style” shoes because they most closely approximate the feel of barefoot running. Because of that, they require the greatest caution when transitioning as they will work your legs and feet in ways they are not used to. On the plus side, these shoes will be more likely to encourage a change in running form. My Thoughts: Great shoe – zero drop, roomy forefoot, and great ground feel. Better on trails than roads. Women’s equivalent is the Merrell Pace Glove. 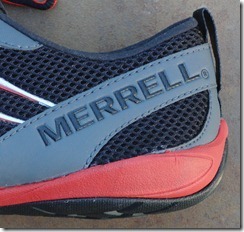 Read my full review of the Merrell Trail Glove here. My Thoughts: Zero drop, durable sole with just a bit of cushion, plenty of room in the forefoot. Some might not like the arch contour. Women’s equivalent is the Merrell Dash Glove. Read my full review of the Merrell Road Glove here. My Thoughts: A true barefoot-style shoe – only a removable insole and a thin layer of rubber between your foot and the ground. Great fit – currently one of the most comfortable shoes that I own. My Thoughts: A true barefoot-style shoe, similar to the Inov-8 Bare-x 180 but with a much wider toebox (think foot-shaped!). Only a removable insole and a thin layer of rubber between your foot and the ground. Great fit. My Thoughts: Struggled with where to classify this shoe. A bit more cushion than some of the others in this category, but still super minimal. Works well on roads, not so great on crushed rock or more rugged trail due to the lack of a rock plate. Incredibly light, and very breathable upper. Read my full review of the New Balance Minimus Trail (MT00) here. My Thoughts: Zero drop, cushioned sole and plenty of room in the forefoot. More forgiving than the Road Glove. My Thoughts: Firm, flat, and plenty of room up front. 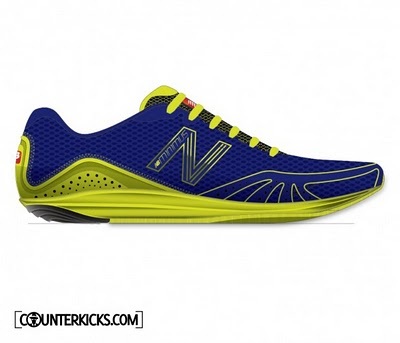 Read my full review of the New Balance Minimus Road (MR00) here. My Thoughts: Massively roomy in the forefoot (think Crocs or Birkenstocks), and firm underfoot. Foot-shaped last is what sets Altra apart. Read my full review of the Altra Instinct here. My Thoughts: The Skechers Go Bionic comes out in July, 2012. I have been running in them for a few months and love them – super flexible and the softest cushion of the zero drop shoes listed here. My full review of the Skechers Go Bionic can be found here. When it comes to running long distances or racing, I find having a bit of lift under the heel to be of benefit as it takes some of the load off my calves – 4mm is about my sweet spot. This is category is one of the hottest in the running shoe world right now, and is a great place to start on the path to more minimalist options (hence why I refer to them as transitional shoes). My Thoughts: I’ve now run in every iteration of the Kinvara, and version 3 keeps what I love about the original and adds a bit of room to the forefoot. The Kinvara is still my go-to marathon shoe, and one of my favorite shoes of all time. Read my Saucony Kinvara 3 review for more information. My Thoughts: The first word that comes to mind when I think of the Brooks Pure Flow is “springy.” The midsole foam is very responsive, though flexibility and weight could be improved a bit. Great shoe for everyday training and long runs. Read my Brooks Pure Flow review for more information. My Thoughts: Close to the ground, firm, and a very wide forefoot. And the price is right as well. Solid shoe! You can read my review of the New Balance 730 here. My Thoughts: Newton shoes feature a set of lugs under the forefoot that can take some getting used to, but once you get a midfoot/forefoot strike down in them they feel great. High volume forefoot provides a roomy fit, and no arch support. Read my full review of the Newton Distance here. My Thoughts: Not a lot of protection in this shoe as it lacks a rock plate, but it served me well in a trail 50k and it’s one of the more versatile shoes in my collection as it handles multiple surfaces well (including roads). You can read my review of the New Balance Minimus Trail MT10 here. My Thoughts: Swap out the included insole with a flatter one and you have a roomy trail shoe with a springy midsole. Lugs are not terribly aggressive on the Grit so it can handle some on-road running as well. When the plan is to run fast, I like a shoe with a small amount of heel lift and a somewhat stiff sole. Unfortunately, most flats run narrow, so the options are not abundant if you require some forefoot space. The following road flats are my top choices for those who like the attributes of a minimalist shoe. My Thoughts: Supremely lightweight and a roomy fit, the Mizuno Universe is a phenomenal shoe for running fast. Read my full review of the Mizuno Wave Universe 4. My Thoughts: Roomy forefoot and good longitudinal stiffness for racing – my current choice for speedwork and 5k racing. Read my full review of the adidas Hagio here. I always have to break in my shoes pretty good before I feel comfortable running in them. I ran a 5 miles race last weekend and those shoes have a lot of miles on them so I switched to a new pair and they are really hurting the joints in my second toe on my right foot. I am training for a half. Do you think I should transition to a no arch support shoe? REally hard to know the source of the pain, so a tough call. Could just be a poor fit in the new shoes. Hi I work in a warehouse 12hrs a day 6 days a week. I have very narrow feet, and low arches. please help me find the right kind for my feet. What I found worked was some good and proper insoles. Was having issues with pain in my feet, my mum suggested it was because my shoes were flat and I wasn’t getting enough support, I’ve also broken my foot in the past. Bought a pair of Nuovahealth insoles to try – brilliant. I had a bit of discomfort In the first couple of days, within a week the pain in my feet was gone. very comfortable. they fit easily in shoes without taking too much room so you still have some wriggle room for your feet. but I usually buy shoes slightly larger since I have wide feet, so this might be an issue for you, for me though was fine. The only gripe that I had with these is the blue patches on the sole of the insole come off after a while, especially if you remove them from shoe to shoe, but they are still comfortable even without the blue patch so this was not really an issue. So you might want to consider buying more for other shoes if the first pair is a success. been using the first pair since may last year, so nearly a year and they are still good despite smelling a bit, but I don’t think that’s down to the insole..